We know that time is relative, not only in our experience of its passing, but also in how we visualize its shape. Despite our efforts to construct tools for managing time (calenders, clocks, etc), it seems as though these models are not good enough to satisfy our minds. What other methods do we employ in order to conceptualize time? Our inner visualizations are never addressed except for in our own minds, yet they might hold a key to the way we function and exist. Just how personal are these inner images of time, and what do they actually look like? The experiment begins by filling out a form. 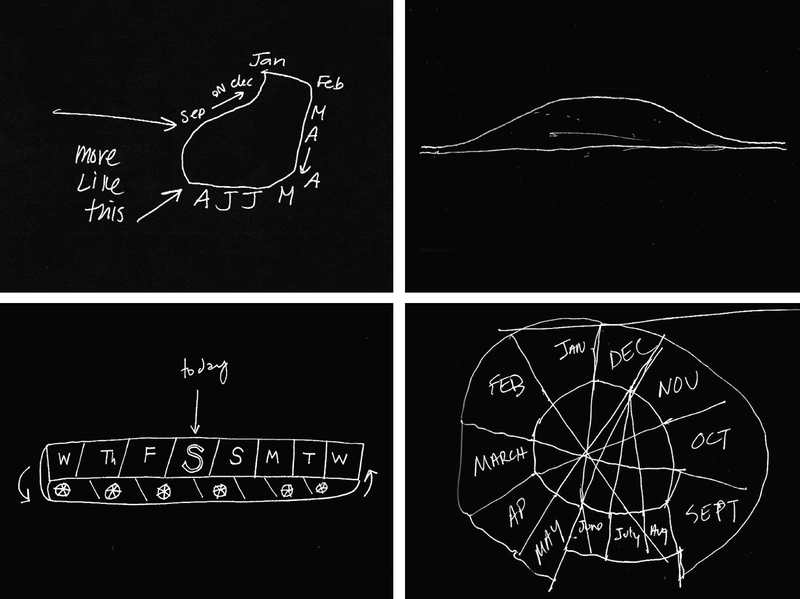 The purpose of the questions in the form (for example ‘What time did you get up yesterday morning’, ‘What did you have for dinner 4 days ago?’, ‘What will you do next fall?’) is to prepare the test subject for the next step; to draw the shape of his/her inner images of specific time constructs (the year, the months, the week, the day/hours). This is followed by an interview, where the answers and images can be discussed and clarified. The forms and drawings are scanned and archived, along with the conversations. 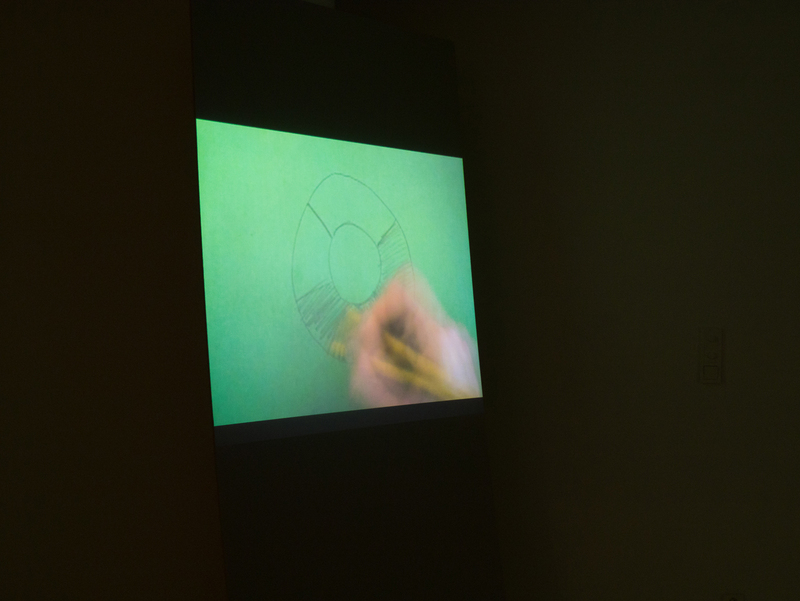 Over 150 people have participated in the experiment in North America and Scandinavia, and selected data has been compiled into a video, where the drawings are displayed and a voice-over describes their function. 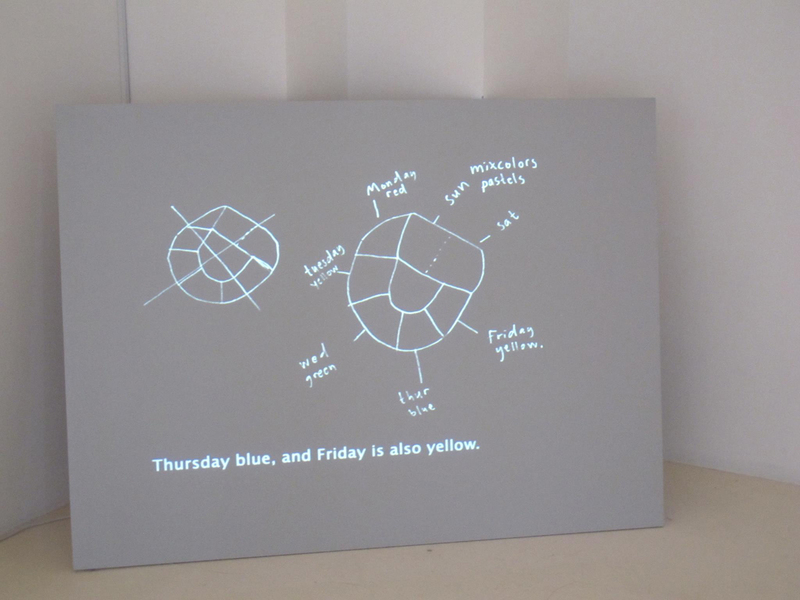 Presented as an installation (where the experiment was also being conducted), exhibited at Haninge Konsthall, Stockholm, Sweden, September 2010 as well as at Franklin Street Works, Stamford, Connecticut. Also presented as a lecture performance and video screening at Flux Factory, New York, March 2011, and as installation and lecture performance in the solo exhibition Grey Zone at Entrée, Bergen, Norway, in 2012, as well as a lecture performance at Tensta Konsthall, Stockholm, 2013. Text written by Johanne Nordby Wernø for the exhibition nu nu nu nu (with Ulrika Gomm and Anna Lundh) at Haninge Konsthall, 2010. 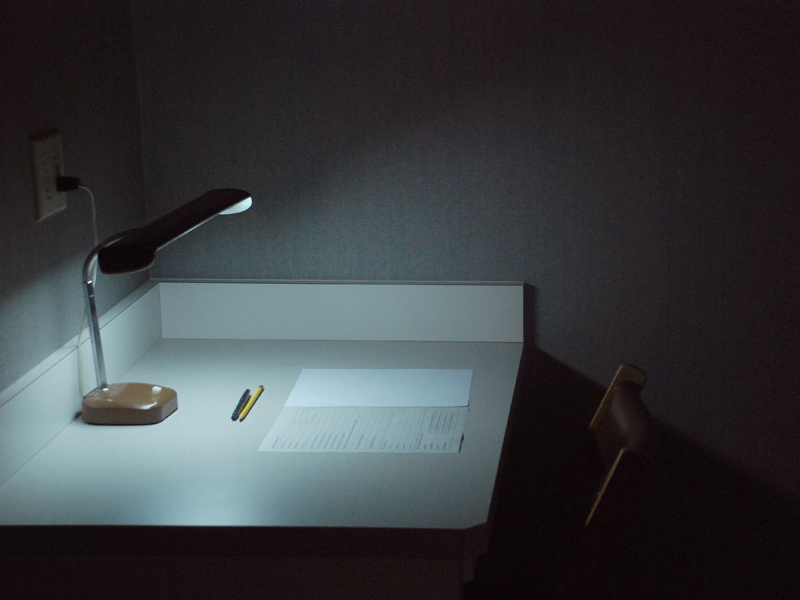 Video installation, Entrée, Bergen, Norway, 2012. 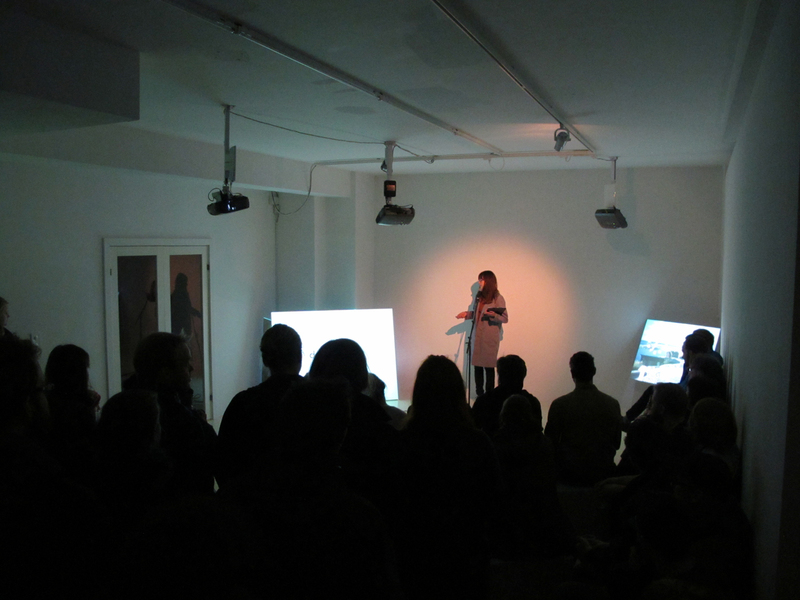 Lecture Performance, Entrée, Bergen, Norway, 2012.